I guess that’s a basketball. I am impressed by the athleticism of these women, and I assume they must be dancers of some kind, who would be accustomed to some pretty fancy footwork in heels. I couldn’t find source information about this photo, and if you have some, I’d love to know more about it. 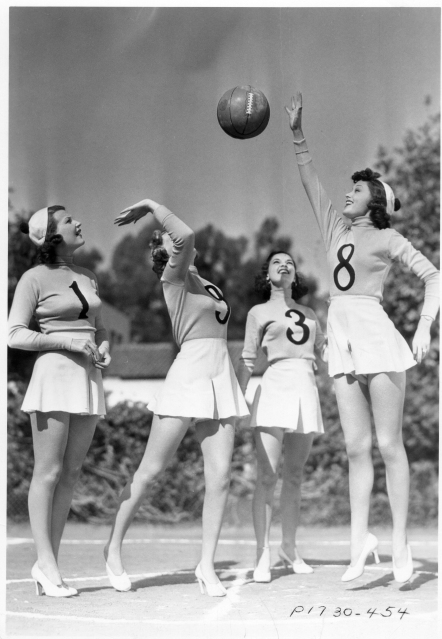 Women in the 1930s did wear different shoes for that game (and probably headgear, if any), when they meant business, though. From the collection at Pics of Then, an individual’s collection of old photos. 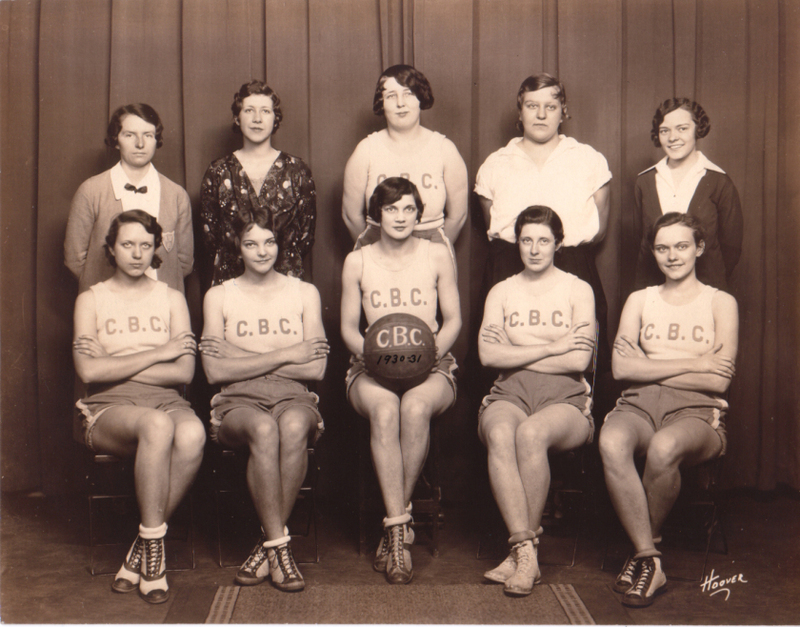 This entry was posted in Neat Stuff, Pictures, Thing-a-day (Feb) and tagged 1930s, basketball, old photos, shoes, women on February 17, 2014 by caitlinburke.